Anne Hutton | Mascara Jungle: How to choose the right one for you. 12 Sep Mascara Jungle: How to choose the right one for you. As a makeup artist, people often ask me about my favourite products. “What’s the best mascara?” is a popular question. There really is so much choice out there now that it’s difficult to pinpoint the one and only best mascara. We all have very different lashes, and different tastes and preferences too. So to make things a little simpler, here are a few tips you can follow when purchasing your next mascara…. 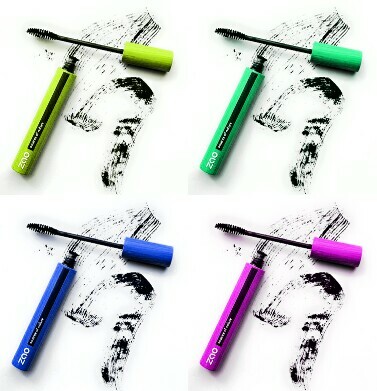 Volumising mascaras are generally quite thick in texture, with a fat brush/wand. The aim is not just to add length but to really add bulk to the lashes. Thickening mascara tends to have more waxes and silicone polymers, which offer a little more flexibility, allowing a few coats to be applied without clumping. This is the best choice for thin or sparse lashes that need some plumping up. My personal favourite thickening mascaras are Yves St Laurent Volume Effet Fax Cils and Lancome’s Hypnose (very buildable). On a tight budget? Try Maybelline Great Lash BIG. Lengthening mascaras are generally more fluid in texture, and the wand tends to be longer, and brush bristles tend to be shorter, and better for separating the lashes and coating each individual lash. They work by adding polymer chains, or tiny fibres to the end of each lash, which gives you the added length. They also tend to be more quick-drying than volumising mascaras. I recommend applying one very good coat of lengthening mascara, and leave it at that, as two or more coats can give that “spidery” built-up look. My favourite lengthening mascaras are MAC Pro Long Lash and Bobbi Brown Lash Glamour Lengthening. On a budget? Try Max Factor Lash Extension Effect. If in doubt, ask at your local cosmetic counter for some advice, or a sample to try at home. I hope that this was in some way helpful, and that your next mascara purchase is your best!